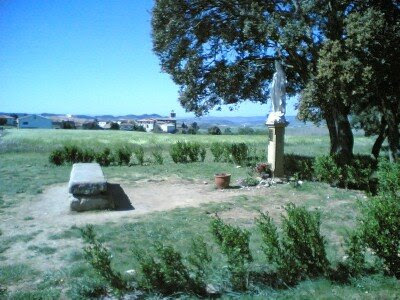 Along the camino, there are many statues. 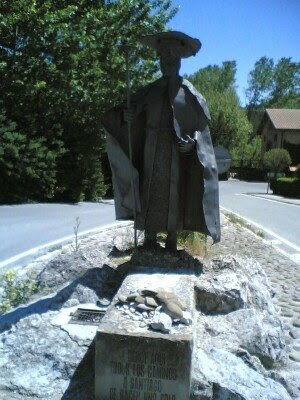 Most of them depicts St. James as a pilgrim. 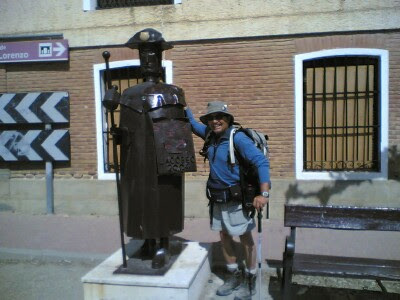 I find them quite motivating during my camino. The first one I encountered. It's Mary. 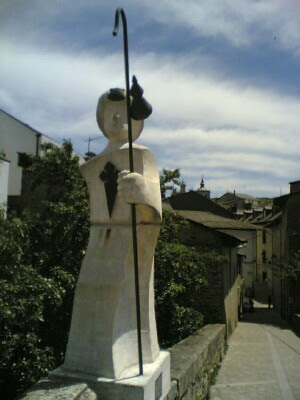 The famous pilgrim statue before Puente La Reina. 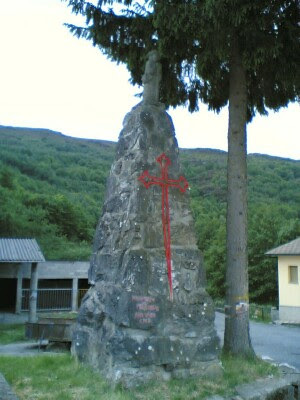 This is the junction where the Aragon Route joins the French Route. 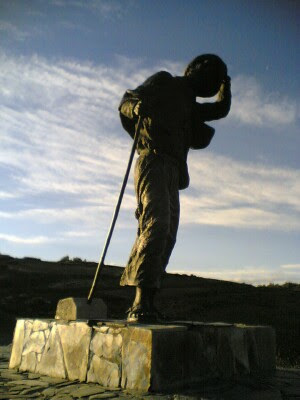 A metal statue with 'Jacobeo 2004' as a shield. 2004 was the last holy year (when the feast of St. James on July 25 falls on Sunday). The next holy year will be 2010. Posing with the statue is Gil from Quebec. 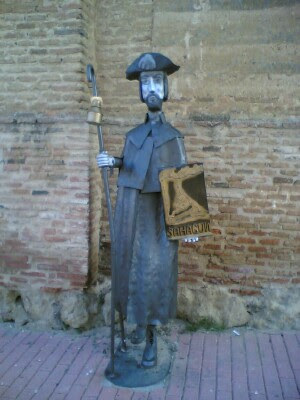 Another metal statue from Sahagun. 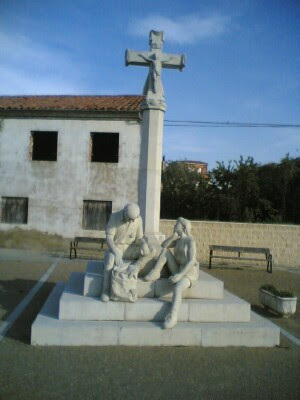 Modern looking pilgrims in Mansilla de las Mulas. 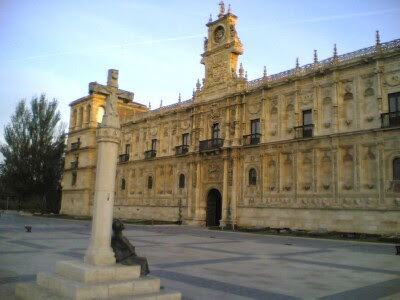 A statue in front of the San Marcos (Parador) in León. Paradors are state run 5 star hotels. 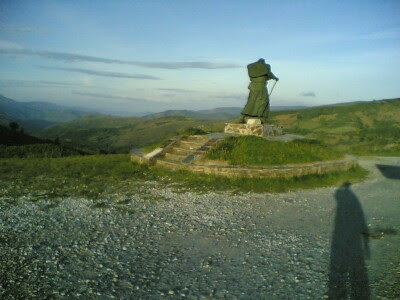 Another famous monument to the pilgrims after O Cebreiro. This pilgrim is holding his hat. The wind is evil in this part of the mountain. Tiny statue on top of the St. James cross in Triacastela. 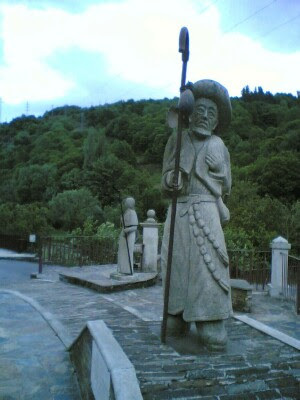 Pilgrim statues in Samos. 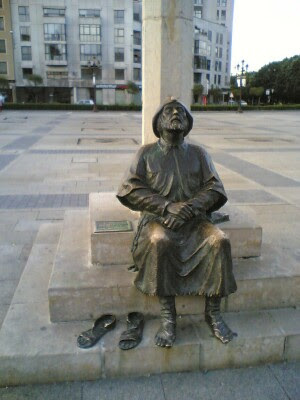 A statue of a female pilgrim is in the background. Not sure if there are women pilgrmin in those days.